On February 21, 1997, the operators were in the process of shutting down the Unit 1 reactor at the Zion nuclear power plant outside Chicago due to a broken emergency pump. In parallel, workers struggled to repair the pump. If the pump could be fixed in time, the plant would not have to shut down and could return to full power. With time running out, the control room supervisor instructed a control room operator to reduce the reactor’s power level to about one percent. The operator inserted control rods to lower the power level, but went too far. The nuclear chain reaction had been interrupted. Upon realizing the error, the operator simply began withdrawing the control rods that had just been inserted. By procedure, the operator should have stopped, evaluated reactor conditions, and obtained authorization to withdraw control rods and re-establish a nuclear chain reaction. The operator was far from alone in the control room. At the time, there were 39 folks in the control room with 15 individuals crowding the little area slightly larger than a phone booth where the operator was working. It was, according to the NRC, “a loud and disruptive environment.” Repeat, a LOUD and DiSruPTiVe eNVirOnMenT. Time ran out on Unit 1. The operators depressed two pushbuttons that caused all of the control rods to fully insert into reactor core within seconds. On September 2, 1997, the NRC fined the owner $330,000 for the control room antics and two other problems. In January 1998, the owner announced it was permanently closing the two units at Zion. 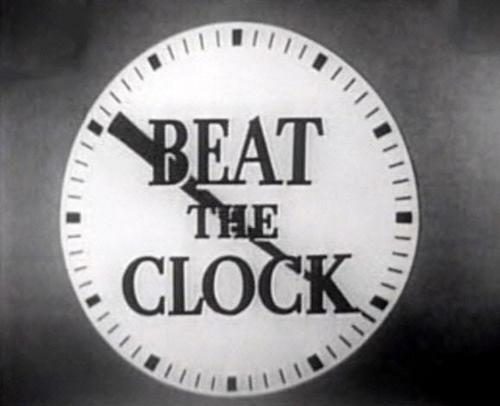 “Beat the Clock” might be an entertaining game show, but it is a nuclear safety trap. The moment you start playing the game, you have one eye on the clock and, at most, one eye on safety. You may have one eye on the clock and the other eye on whatever problem started the clock ticking. The control room operating crew cannot be fully isolated from the rest of the plant’s workers. But when situations like this one arise, they must be protected as much as possible. Even the best juggler in the world can get too many balls into the air. Giving operators more tasks to do while compressing the time allotted to complete them is setting the stage for their making mistakes. The NRC found that the company replaced the professional decorum a control room deserves with a circus atmosphere. And the company paid more than peanuts for it.